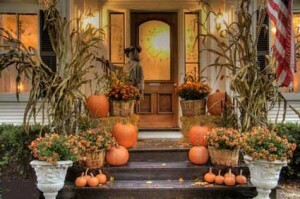 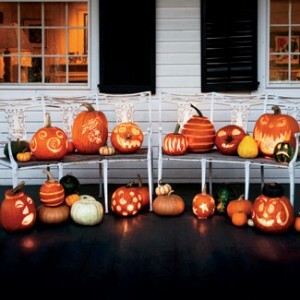 It’s a beautiful day here for Trick-or-Treating…I hope it’s the same where you are. Here are a few inspirational photos of some Halloween-erific approaches to the candy bowl. Save a few Almond-Joy snack bites for me! 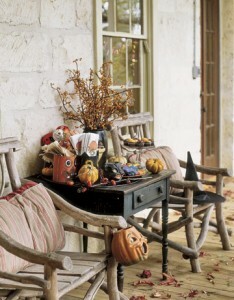 From Country Living—-Simple and understated, with a few minor adjustments this could last to Thanksgiving. 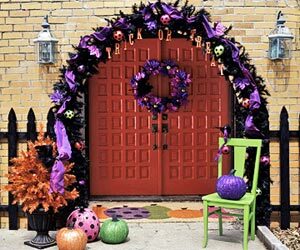 Not your typical Orange/Black combo—-adding purple and acid green is unexpected and fun! 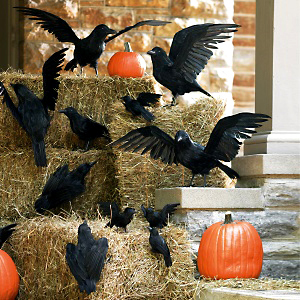 Thank you, Alfred Hitchcock, for making beautiful black birds creepy.